Wow. Yikes. Okey dokey. Well. Yes. 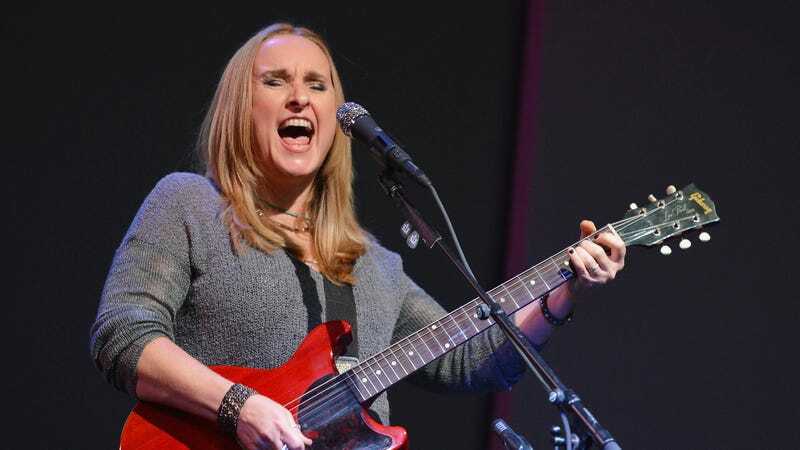 When asked about Angelina Jolie's decision to undergo a preventive double mastectomy, Melissa Etheridge, who also carries the BRCA gene (and got breast cancer from it) says she definitely wouldn't call it a "brave choice." Because people should really think about granola bars and squeezy stress balls first or something. I wouldn’t call it the brave choice," Etheridge, 52, says. "I actually think it's the most fearful choice you can make when confronting anything with cancer. My belief is that cancer comes from inside you and so much of it has to do with the environment of your body. It's the stress that will turn that gene on or not." Instead, Etheridge says a preventative mastectomy should be something a person considers after examining all of her options. "Plenty of people have the gene mutation and everything but it never comes to cancer," she says. "I would say to anybody faced with that, that choice is way down the line on the spectrum of what you can do and to really consider the advancements we've made in things like nutrition and stress levels." Neil Patrick Harris is going to play Hedwig on Broadway! “Who better to pass the wig to but the finest entertainer of his generation?” said John Cameron Mitchell, who wrote the book and starred in the original stage and film productions of Hedwig, in a release. “It’s like you’re putting together a fantasy rock band and Paul McCartney agrees to play bass,” said composer Stephen Trask. Hugh Jackman just seems like the nicest dude ever. Just nicin' around all nice all the time. "As an actor, I've always believed that any label is your enemy," Jackman tells Men's Fitness magazine. "Look, I was brought up in a way where you treat people with respect. So it's certainly easier for me to be polite and respectful to people than to be an a—hole." The 44-year-old continued, "Like, if I'm walking down the street with my family and the 29th person says, ‘Hey man, can I get a photo?' for me to say, ‘No photos, get f—ked'—for the next hour I'll be thinking I shouldn't have said that. Whereas, if I say either, ‘Yeah, no problem,' or, ‘Listen, I'm with my family now, but it's nice to meet you,' then I move on, in a way it's easier. It's a mixture of that and also not being a wanker." Speaking of weird movie/pop music crossover singles.